Once you've selected the course that's right for you, the next step is to get yourself registered. 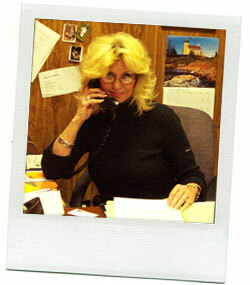 Houston Marine Training Office Manager, Joyce Geraghty can help. Call (800) 444-3926 to discuss your specific requirements, our class availability and pricing. Course & Event Schedule now online! Contact Joyce if you don't see the course you need. We tried to anticipate questions that you might have; combined those with questions we get again and again and then answered them all below. If you have a question that isn't answered here, please contact us. Q: What training software do you use? A: We use in-house developed courseware (videos and presentations), LAPWARE for Deck Officer License Prep and software tools developed by Houston Marine Services. Our materials are constantly updated with the latest Coast Guard Q&A appropriate to the license you are applying for. Q: How long will it take for me to receive my certification? A: As soon as you successfully complete our approved course or pass the Coast Guard examination. Q: How much will all this cost? A: Depends on which course you enroll in. Call or email for a firm quote. A: No financing is available. A: We have been in Houston and at this location since 1985. Q: How many students have graduated? A: Literally thousands of mariners have received their training and certification with us. Q: Do you offer job placement assistance?